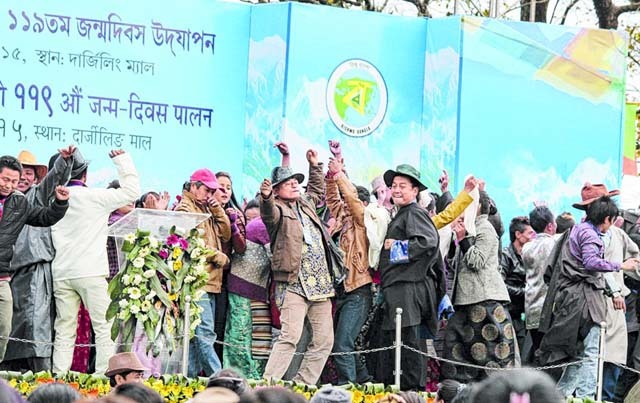 The West Bengal Sherpa Cultural Board has been gripped by a tussle with the chairman and the vice-chairperson accusing each other of high-handedness and financial impropriety. The vice-chairperson, Nim Doma Sherpa, said she had been suspended by chairman Nima Wangdi Sherpa though he didn't enjoy such powers. She wrote to Darjeeling district magistrate Anurag Srivastava levelling a number of allegations against Nima. Nim said: "He (Nima) suspended me as vice-chairperson in a high-handed manner and without a prior notice. In fact, he does not have the power to suspend me." The vice-chairperson sought the chairman's ouster and said there was no financial transparency in the board. "All decisions are taken by the chairman," Nim said. She further alleged that on June 21, the chairman had written to the owner of a property in Kalimpong, from where the board's office functioned, stating that the premises were not needed from August 1, 2016. "The chairman decided to close down the office because I started questioning his style of functioning." Referring to Sherwi Khangba, a scheme under which the board builds free houses for financially backward Sherpas, the vice-chairperson said: "Earlier, each beneficiary (of the housing scheme) used to get 2,400 bricks. When I found that only 2,000 bricks were being supplied for the construction of a house, all problems started." Sources said there were no clear provisions in the board's rulebook on the ways to suspend the vice-chairperson. Nima said the vice-chairperson had been suspended as there were many charges against her. "We had asked the vice-chairperson to monitor the construction of 100 of 500 houses. However, there were allegations that the materials we had prescribed were not being used. There were also allegations that the vice-chairperson was misbehaving with the beneficiaries and she was working against the interest of the board. That is why the executive body and the general body decided to suspend her. 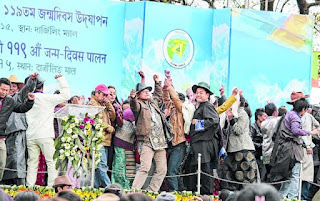 In fact, I had told the chief minister of our decision to suspend the vice-chairperson in Kurseong in March," said the chairman.